Ripley’s Believe It or Not! in New York is a museum where the most outrageous and unbelievable items are showcased. It makes it an amazing museum, in the most literal sense of the word. 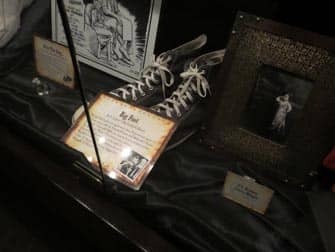 Participate in the museum’s interactive exhibitions and learn of the strange artefacts from around the world, (mostly) collected by Robert Ripley. Robert Ripley was an adventurous pioneer who was born in 1890. He was an icon in the world of cartoon art and he premised that “truth is stranger than fiction”. His illustrations were published for the first time in 1913 in a New York newspaper. The illustrations were of unbelievable facts, and when Ripley wrote “Believe It or Not!” across the top of them, he became a sensation. Ripley visited over 200 countries and dedicated his life to collecting the strangest artefacts and objects. He wrote all of his experiences down and lectured about the knowledge he collected throughout the years. Ripley died at the age of 55. 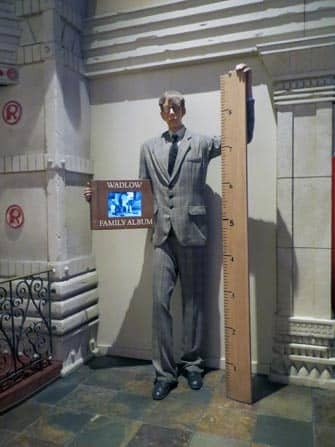 As you might have expected, Ripley’s Believe It or Not! museum exhibits a lot of the oddities that Ripley collected. The museum in New York showcases over 500 unbelievable objects, such as a rare albino giraffe, shrunken heads and much more. 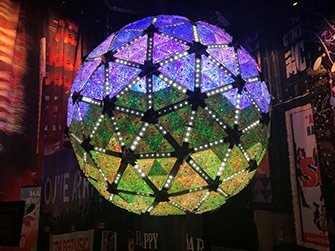 You can even get a close up look at the crystal ball that is used for the New Year’s Eve Ball Drop on Times Square, it’s definitely impressive to see. The museum is entertaining yet informative and once back home, your friends will be astounded by the amount of fun facts you learned. There is plenty for the children to do as well. Whether it’s interacting with the objects, watching the videos or braving the “black hole” they’ll surely have a good time. I would spend about an hour and a half in the museum. You won’t need much more than that as the museum isn’t very big. This gives you plenty of time to look at the artefacts, read the stories or watch the short clips. 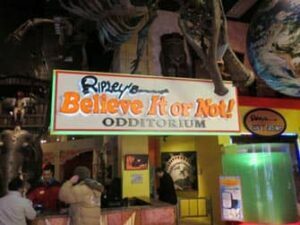 Book Tickets for Ripley’s Believe it or Not! 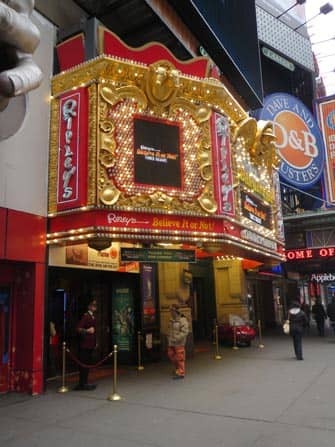 Eric’s Tip: If you like strange objects then you’ll like the Ripley’s Believe It or Not! museum. It’s also a great museum for children. It is a fun, interactive and informative museum, but you won’t miss anything major if you don’t visit it. I recommend to do this when you have some time to kill when in Midtown, when it rains or when you have visited New York more than once.